Petro-chemical giant, Sasol says it will approach the Human Rights Commission to obtain the testimony given by a whistleblower implicating it in the pollution of the Vaal River. The Commission has held its third and final hearing into allegations of raw sewage spilling into the river. Late in 2018, the Commission conducted a site inspection at key discharge points in the City of Ekurhuleni and found the rights of residents in the area were being violated. Spokesperson for Sasol, Alex Anderson, says they were not aware that the inquiry would continue and thus did not have a representative appear before it. “We were not informed of the continuation of this inquiry by the Human Rights Commission nor of the testimony that was provided by a whistleblower. We didn’t have a representative designated, authorised to provide the testimony – so what we’re going to do is we’re going to approach the Human Rights Commission to obtain the testimony in which we are an interested ans affected party,” says Anderson. 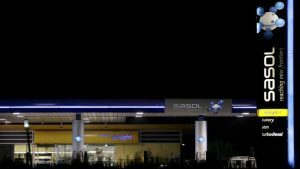 The post Sasol set to approach SAHRC for whistleblower testimony appeared first on SABC News – Breaking news, special reports, world, business, sport coverage of all South African current events. Africa's news leader..